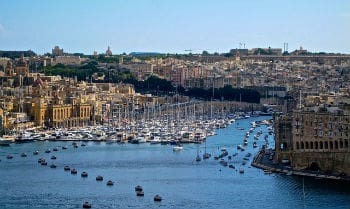 Citizenship By Investment In Malta is gaining popularity. Malta has always attracted millions of tourists with its picturesque Mediterranean scenery and historic sights. Recently Maltese government has published a list of its newest citizens, and the list revealed a striking number of wealthy Russian citizens. Owners of Russia’s biggest information technology companies, distilleries, real estate conglomerates and banks, altogether 730 of them, have obtained Maltese Citizenship. Among them, Arkady Volozh, the owner of Yandex, a Russian equivalent of Google, Alexey De Monderick, the co-founder of Kaspersky Lab, the international computer security firm. According to Ilya Shumanov, the Russian head of Transparency International, an EU-group that monitors the international flow of capital, the Russians are seeking a quiet, safe, tax-friendly haven for themselves, their families and relatives. And for their money as well. By investing in second citizenship, they successfully hedge their personal risks. Malta’s citizenship by investment program is the first EU-approved citizenship program. Malta, being a thriving EU member, also enjoys a stable political climate. Maltese citizenship automatically grants EU citizenship and visa-free and visa-on-arrival access to 169 countries and territories! The process of obtaining Maltese citizenship is fast. Initial documents are approved within 3- 4 months and a passport is issued in 12 months from the date of initial residence. Malta actually requires applicants to physically reside one year in Malta before citizenship is granted. Your family is also welcome to join you. You may include your dependent children under 25 years of age and dependent parents over 55 years old in your application. Among other good news is a Schengen residence and work permit eligibility. Malta also recognizes dual citizenship, so you can still benefit from your current citizenship status. Maltese citizenship comes at a certain cost. Malta requires the applicant to contribute at least €650,000 to the state. Of this contribution, 70 percent goes into the Fund set up by the Government of Malta and run by a board of trustees. The rest goes to the consolidated fund. Spouses and children must contribute €25,000; unmarried children between 18 and 25 and dependent parents must contribute €50,000 each. In addition to that, applicants are required to invest at least €150,000 in bonds or shares from time to time approved by the Maltese Government to be kept for at least five years. Finally, applicants are required to make an investment in property of at least €350,000 or enter into a property rental agreement for at least €16,000 per annum, both on five-year contracts. At Jane Katkova & Associates we are Canadian immigration experts. We have extensive expertise in helping investors obtain the Maltese citizenship and passport. Give us a call, write us a note, and we will get back to you. Our team of highly qualified and experienced lawyers will facilitate the process of obtaining the citizenship of Malta for you and your family. It’s quick, it’s efficient, and it’s definitely worth the effort. For Citizenship By Investment In Malta, entrust all paperwork to us, while you plan your next big Maltese adventure!